Today, inflation remains low in much of the developed world. But previously dovish central banks in countries like the US and the UK want to roll back the accommodative monetary policies in place since the global financial crisis of 2008. Inflation-targeting central banks assume that, when inflation expectations are stable, changes in inflation stem from changes in the amount of slack in the economy. When slack diminishes, inflation will rise. Central banks have maintained loose monetary policies for much longer than in the past to offset the headwinds to growth and inflation that the financial crisis produced. They know from past asset bubbles that leaving monetary policy too loose for too long risks digging a deeper hole, with interest rates and growth ending up even lower in the next cycle. 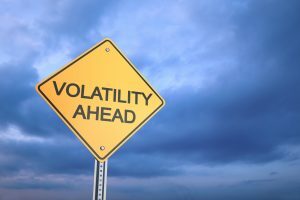 Investors in risky asset markets are complacent, but the record from past periods of calm suggests that, when cross-asset market volatility is low, de-risking is prudent. Investors have reason to be worried. To the extent that the gap between trend growth and natural rates drives up asset valuations, marginal changes in that gap should lead to changes in those valuations. If central banks were simply altering short-term interest rates, this would be less of a concern. But central banks have become far more dependent on indirect tools—namely, long-term interest rates. Investors should take advantage of low volatility to buy cheap insurance. Markets don’t explode every time volatility is low, but volatility has always been low when markets have exploded. Insurance is needed most when imbalances become extreme. Equity and credit valuations are not cheap; but they are not egregiously expensive, either. There is no doubt that volatility will eventually rise to normal levels. For investors today, the lesson is clear: Reducing the scale of risk exposure is the right way forward.